New Mexico may not receive the same attention as its neighboring states of Colorado or Utah, but the Land of Enchantment has its fair share of great skiing. New Mexico may not receive the same attention as its neighboring states of Colorado or Utah, but the Land of Enchantment has its fair share of great skiing. 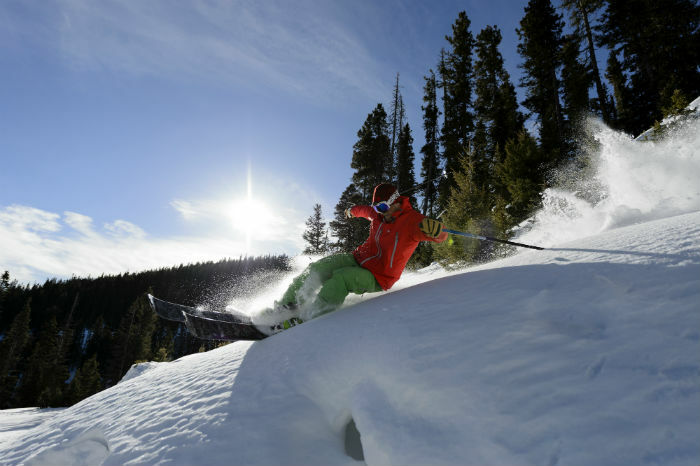 There are eight alpine ski areas: Angel Fire, Pajarito Mountain, Red River Ski and Summer Area, Sandia Peak, Sipapu, Ski Apache, Ski Santa Fe, and Taos Ski Valley. Here are ten enchanting tidbits about skiing and snowboarding in the state. 1. Yes, there are mountains. A few years back, the state of New Mexico conducted focus-group research that revealed many potential visitors thought the state was just one hot desert. On the contrary, northern New Mexico has a large swath of true alpine environment that goes above 13,000 feet. Even much farther south in the Sierra Blanca range, Ski Apache goes up to an elevation of 11,400 feet. 2. Santa Fe can be a ski town. Santa Fe blends Native American, Spanish and Anglo cultures. The ubiquitous adobe architecture and 250 art galleries overshadow the fact that the highest capital city in the United States sits at an elevation of 7,000 feet. Just 16 miles (or about a 30-minute drive from downtown), Ski Santa Fe has 660 skiable acres of solid terrain for all ability levels. The ski area does not have lodging, but first-class hotels in Santa Fe provide plenty of options. 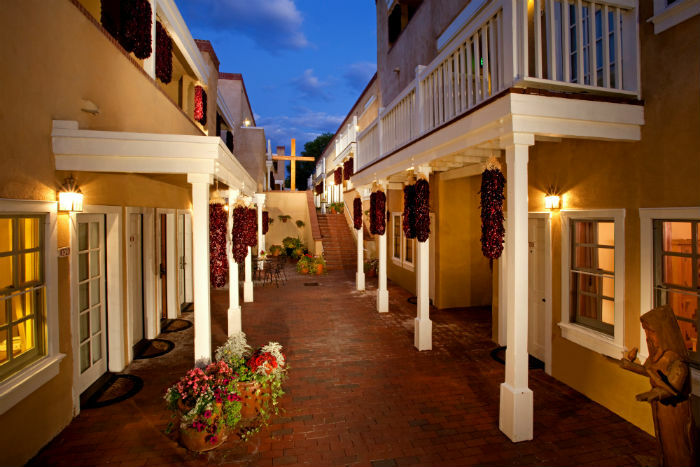 Plus, winter is Santa Fe's off-season, so hotel rates tend to be less expensive. The city's cultural attractions and jaunts up to Ski Santa Fe combine for a unique ski vacation. 3. Three resorts comprise the "Enchanted Circle." 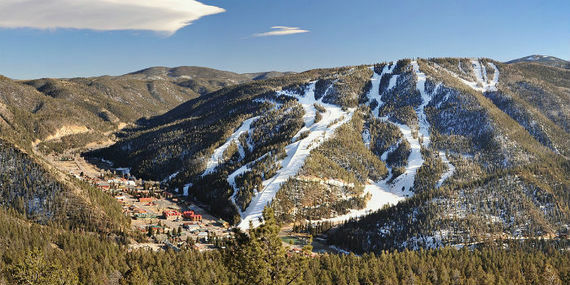 The three ski resorts of Taos Ski Valley, Red River and Angel Fire comprise the "Enchanted Circle." The highways connecting the areas form an 83-mile loop with the town of Taos on the west side, Red River on the north, and Angel Fire on the southwest. Also nearby, Sipapu is located about 20 miles southeast of Taos. Here, first-time skiers or boarders can receive up to three free beginner lessons. 4. Major updates at Taos Ski Valley. 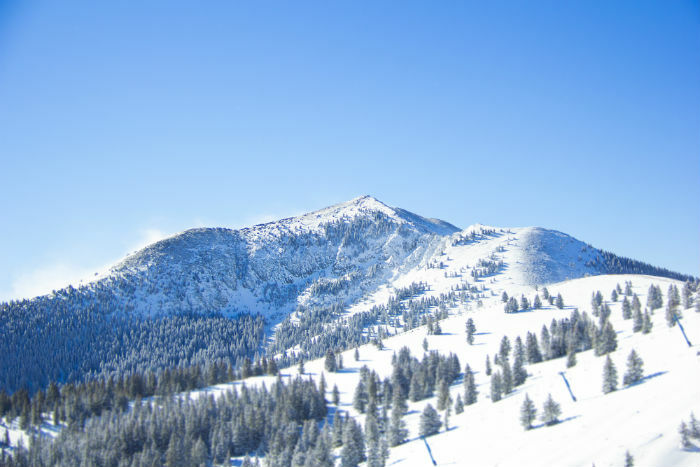 Founded by legendary ski pioneer Ernie Blake, Taos Ski Valley was the quintessential family-owned and operated ski area until its sale to billionaire Louis Bacon in 2013. Respectful of Blake's unique vision, Bacon plans to stay true to the ski area's character, but also fund a much-needed major update of the base-area facilities. 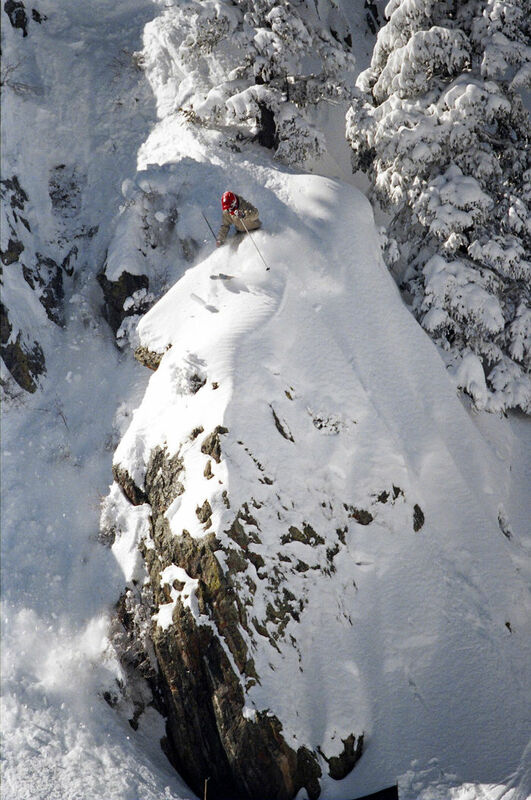 The first improvement of the new era was the installation of a new chairlift accessing Kachina Peak. The impressive bowl previously required a hike of at least 45 minutes. Some diehard locals lament the loss of exclusivity that went along with the demanding hike, but most of the masses will opt for the relatively tame Main Street trail down the middle of the bowl. The steep and technical K Chutes, located to a skier's left off the lift, should still see rather limited traffic. Also, Taos' precarious lines off West Basin Ridge and Highline Ridge will still require a hike. 5. Taos has a reputation for challenging terrain. Taos Ski Valley has a deserved reputation for challenging terrain. One exception is the beginner White Feather trail. The name actually has a hidden dig attached to it. In British history, those who were deemed cowards for staying out of the army during wartime were given a white feather. 6. Beginners can ski greens at Red. Beginners should feel no embarrassment at Red River, which draws heavily from Texas and Oklahoma. Many of the flatlanders appreciate the excellent green terrain up high on the backside of the mountain. The meandering trails through Aspen groves offer spectacular, unbeatable vistas. 7. Serious partying in the mountains during Mardi Gras. Among the New Mexico ski areas, Red River is the only one that rises directly above a town. 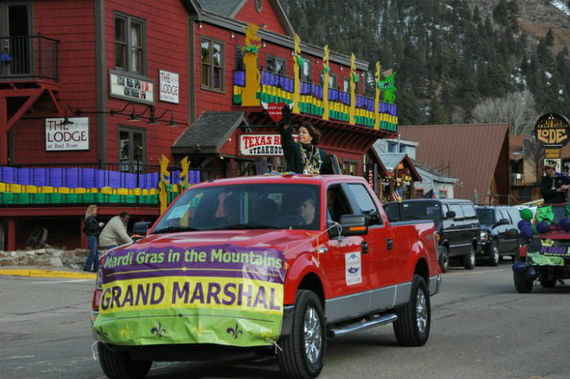 The old mining town of Red River really comes alive each February during Mardi Gras in the Mountains. Locals organize "krewes" and enlist visitors to join in for a week of serious partying. 8. You can have red, green, or Christmas with your Southwestern cuisine. Of course, the Southwest culture extends to dining. Many dishes can be prepared with a diner's choice of red or green chilies. For a combination of both red and green, just ask for "Christmas." 9. Fire up the evening with night skiing. 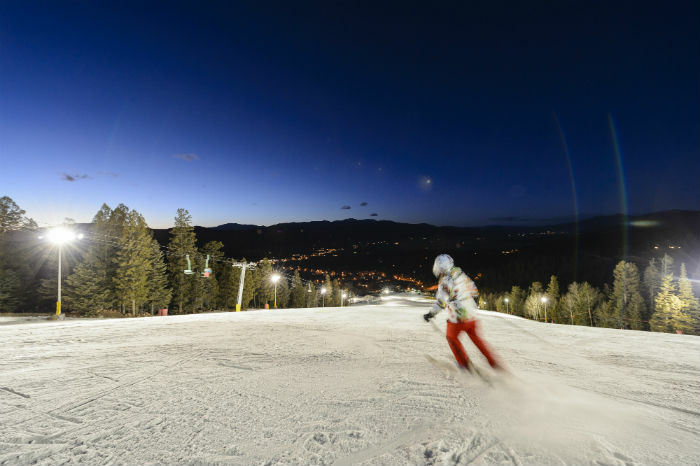 Angel Fire is the only New Mexico resort to offer night skiing. About 50 acres of terrain are lighted until 8 p.m. on weekends and holidays. 10. Ski Apache is the southernmost major ski area in the U.S. Operated by the Mescalero Apache Tribe, Ski Apache holds the distinction of being the southernmost major ski area in the United States. Among New Mexico ski areas, Ski Apache's 750 skiable acres ranks in size only behind Taos' 1,294 acres.